The band that provided a summer soundtrack for scores of Alaskans is hanging up its instruments — at least for now. But Hope Social Club plans on going out with a bang, or at least with a splash from drummer Tim Haren’s hi-hat cymbal. Singer-songwriter Melissa Mitchell is leaving the state at the end of the year to join her husband in Hawaii, where he’s recently taken a new job. And the band will put a bow on both 2018 and its Alaska shows for the foreseeable future with a three-night run at the Sitzmark Bar & Grill in Girdwood in late December. 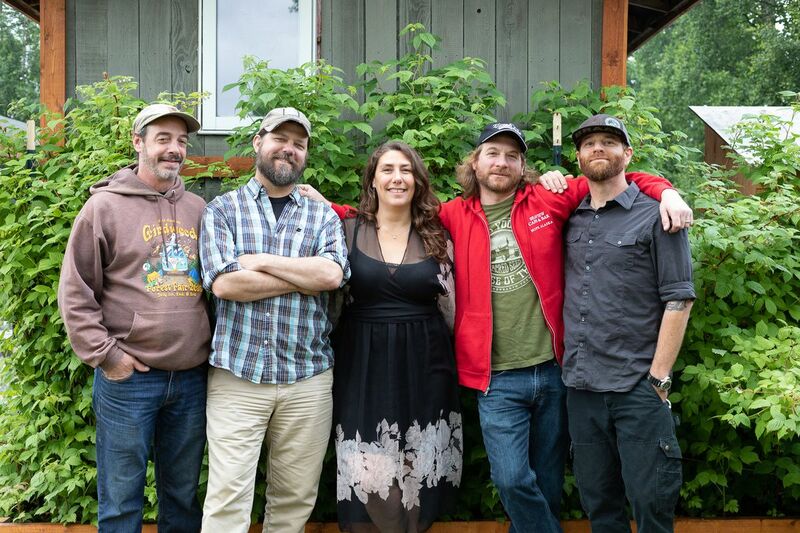 Hope Social Club formed as a musical partnership between Mitchell and Sean “Spiff” Chambers, who met in Girdwood when they lived in the same building. The band was eventually bolstered by some of the state’s most seasoned players, playing under the name The Sociables. Bass player Tony Restivo of longstanding Girdwood jam band The Photonz joined the group, as well as Haren and multi-instrumentalist Aaron Benolkin. The band coalesced behind songs written by Mitchell and Chambers, taking influences from folk, rock and blues and setting them off with tight harmonies. The band has developed a reputation as a must-see live act in the state, regulars at festivals and known for weekend stints at the Seaview Cafe & Bar in Hope. Chambers said part of that has to do with the welcoming, empowering songs penned by Mitchell, as well as the band’s onstage chemistry. In 2015, the band formed a limited-liability company and when the name The Sociables was already taken by a Wisconsin cover band, the group opted for the new moniker. Part of the band’s legacy will be its strong advocacy for collaboration with other bands and musicians throughout the state. The band formed as friends getting together to jam and that construct will remain in place, just with gigs fewer and farther between. Mitchell plans to be back with the band to play some gigs next summer and hasn’t ruled out other opportunities for the group — but she said she’s waiting until next year to consider the available options. Chambers expects the band’s farewell performances at the Sitz to be a fitting way to end its run.